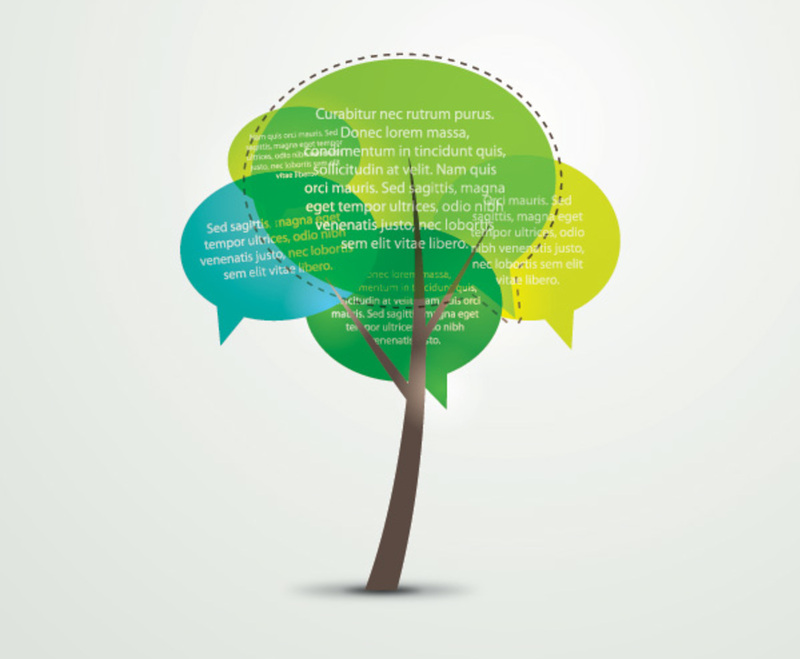 Get your audience talking with this clever depiction of a tree. The leaves are made entirely from speech bubbles, which overlap in various shades of yellow, green, and blue. This graphic's got a great concept, and it's a novel way to present new ideas. Replace the filler text with anything that you want to emphasize. The large green bubble in the center of the graphic is the most legible, but the clear bubbles don't completely obscure one another. It's an excellent choice for showing that you're listening to your readers; try placing this graphic on contact pages or use it on a forum to stimulate discussion.